uhlsport of course – decades of goalkeeping heritage – has more than a few classics up its sleeve. The pink and white gloves worn by Shilton and Zenga in the 1990 World Cup, for example, must be one of the most requested gloves for a comeback ever. But the glove in question this week, the Cerberus Supersoft Rollfinger model, was probably a bit of a surprise for those German gurus of goalkeeping products. It’s one of those gloves that no doubt makes the guys who develop uhlsport’s latest and highly innovative technology shudder. Years spent on new innovations, cash ploughed into the latest developments and marketing budgets thrown at new releases in the manner of a Coleen Rooney shopping trip… And then a glove like this comes along without any of that really, and threatens to steal the show. Finger protection technology? Nope. Uhlsport Absolutgrip foam? No. Contoured palm for improved hand flexion? Nooo. Fancy embossed backhand?? No! No, the Cerberus Supersoft Rollfinger goalkeeper gloves strip it down to the basics – but the essential basics. Really nice foam, a great fit, the ever popular rollfinger glove cut and – let’s be honest – a price that keepers at all levels of the game can afford. Obviously, the Cerberus Supersoft Rollfinger goalkeeper gloves do include a huge amount of technological development that we tend to take for granted these days. The performance quality of the Supersoft latex foam palms, and the comfort of the uhslport rollfinger glove cut, that has been many seasons in development, for example. 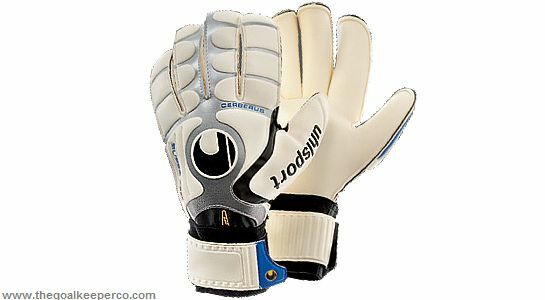 Similarly, the lightweight materials employed in the construction of the glove backhand. The gloves were first released at RRP £29.99 (possibly going up a few quid in coming months thanks to inflation). But it’s clearly not all about price. A fine seal of approval came, we believe, when the Chelsea supremo and uhlsport endorsee Carlo Cudicini took to the gloves and wore a slightly customised version of them in last season’s Chelsea first team games. They’re flying off the shelves. 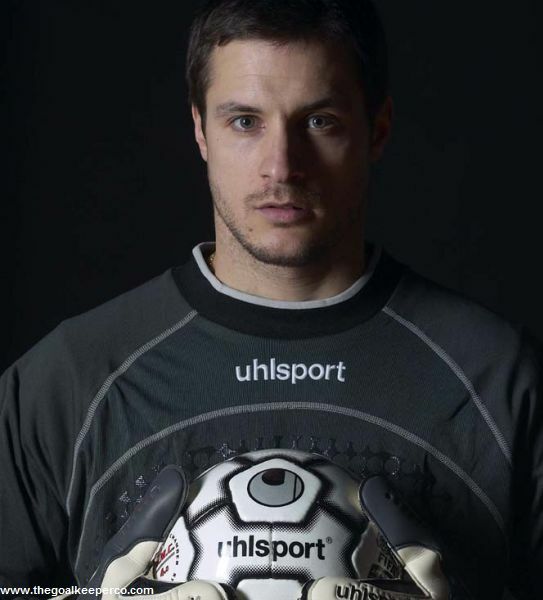 uhlsport’s Supersoft latex produces excellent gripping characteristics in dry and damp conditions thanks to a unique, micro-porous foam construction. Backhand: YCAPUTR is an exclusive uhlsport foam for glove backhands. Highly flexible due to soft foam construction and formed using 3D Thermo rubber foam, YCAP TR promotes excellent surround grip. High competition glove: perfect fit and maximum flexibility.